I keep going back to Wiki and Civil War history. I saw a link to ‘scalawag‘ and though I had heard the term growing up I did not know what it meant (it was a southerner who was loyal to the Union). Turns out my hometown of New Orleans was heavily scalawag. I did know the city surrendered early I the Civil War, but I thought it was just a military loss. It seems the locals, French influenced and urban were more aligned with the north than the rest of the south. 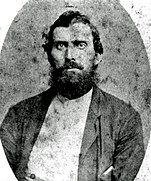 Also a good bit about Newton Knight, who I have never heard of. A radical from Mississippi played by Matthew McConaughey in the recent movie “Free State of Jones“. Might have to check it out.